A branch of the Metropolitan Museum of Art, The Cloisters is located in beautiful Fort Tryon Park, overlooking the Hudson River. 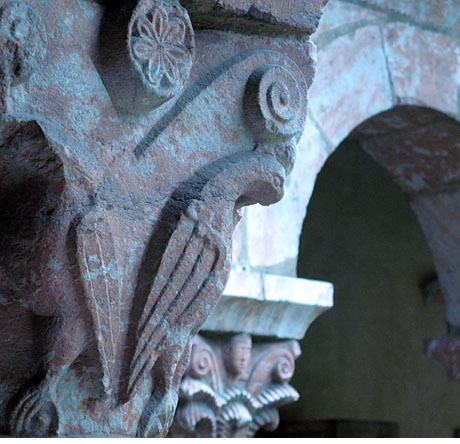 The museum and gardens are devoted to the art of medieval Europe. I love this place. It is a quick trip on the A train and a lovely walk through the park. On your way to the Cloisters, do not forget to stop and have a fabulous lunch at the New Leaf Cafe. The cafe is a part of Bette Midler’s NYRP which is a non-profit organization dedicated to transforming open space in underserved communities to create a greener, more sustainable New York City. In partnership with the City of New York, NYRP is also leading MillionTreesNYC – an initiative to plant and care for one million new trees throughout New York City’s five boroughs by 2017. All proceeds from the New Leaf Cafe support New York Restoration Project’s mission of turning forgotten spaces into growing places.